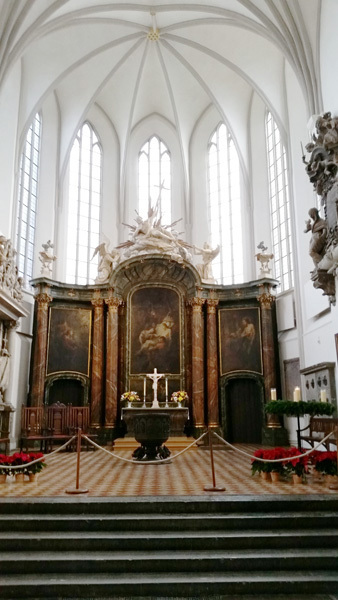 This morning [December 5] I set out with a mission to visit Museum Island and the Gemäldegalerie which is exceptional in the high quality of its collections. I had a particular interest in Botticelli’s Madonna with Angels and Albrecht Dürer’s portraits as well as Brueghel. I never made it there so I have a major reason to return. I arrived at Museum Island when it opened and did not realize I was there until 5 pm so there was no time to go to the other museum I had my heart set on. And I still did not see everything! 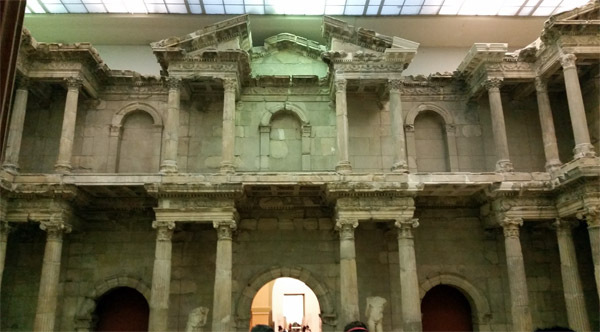 I visited this museum in 1976 to see the Pergamon Altar. 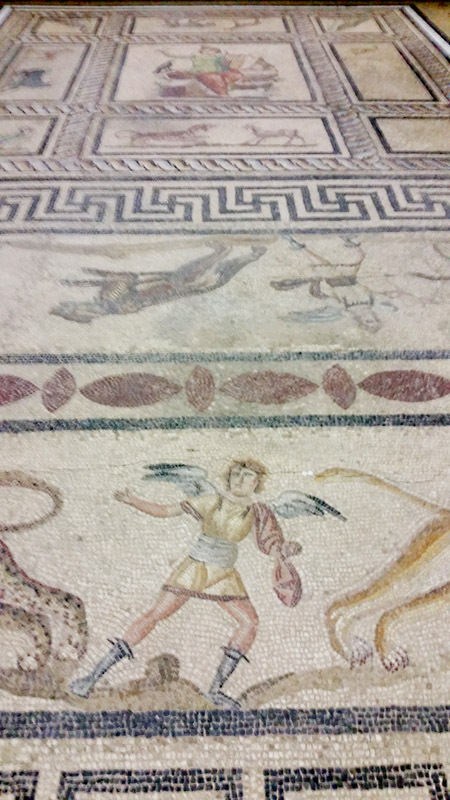 I was so enthralled with the ancient Etruscan and Greek and Roman collection that I lost track of time wandering through the well-ordered gallery. Then I spent much time in the Assyrian gallery and lingered around the reconstructed Gate of Miletus that Saint Paul would have seen. Although I did not accomplish all that I set out to do I was not disappointed in all I saw. That evening I walked around Alexanderplatz and its Christmas markets and ventured into Nicolas quarter which is a small medieval section. There is a lot more to explore in Berlin. 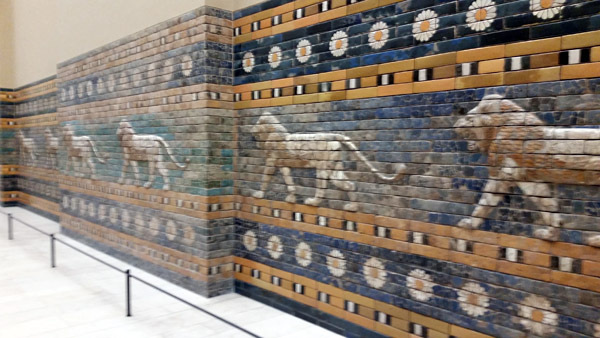 Assyrian processional wall, now in Berlin. 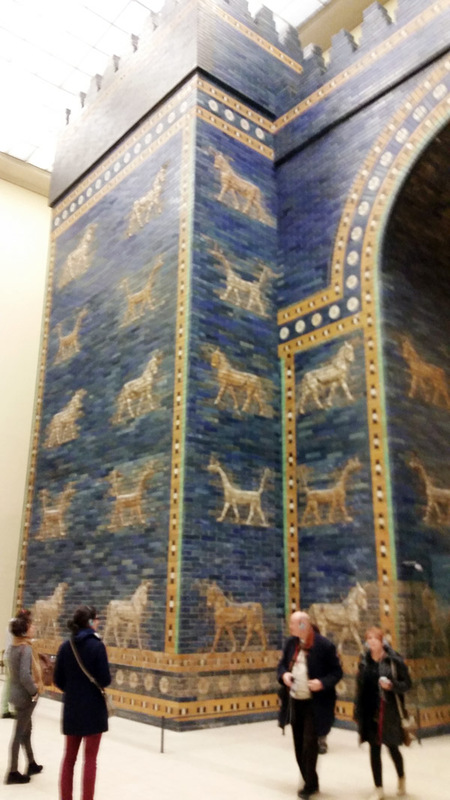 Ishtar Gate, now in Berlin. Market gate from Miletus 120 AD on the coast of Turkey. Now in Berlin. Facade of mshatta place from 744 AD, near present day Amman in Jordan. A palace of one of the first caliphs. Now in the Pergamon Museum. 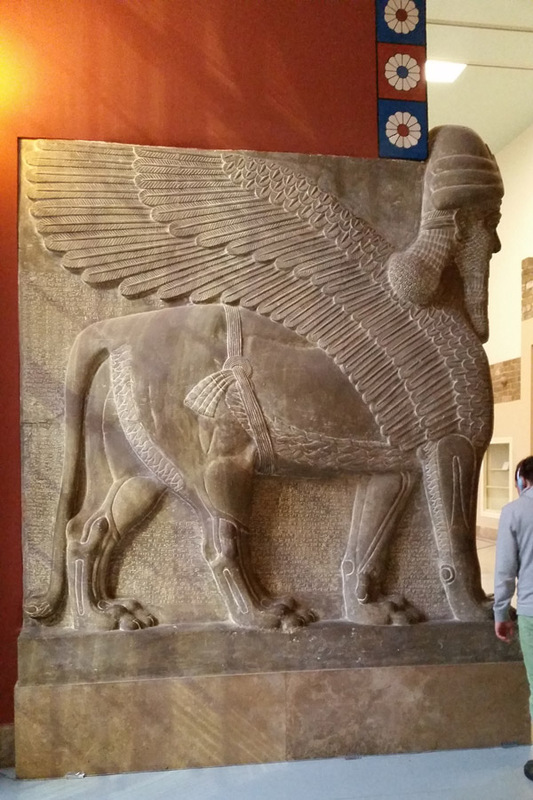 This entry was posted in Europe and tagged art, Assyrian, Berlin, Mshatta, Museums on December 8, 2014 by frjfkauffmann. When we were landing in Berlin I began to think about my first visit in December of 1976 when it was still divided into east and west. 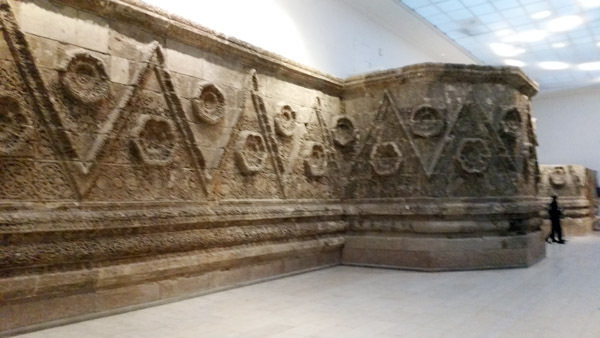 Today when I passed by a portion of the wall I recalled with great vividness that day I crossed from west to east Berlin to visit the Pergamon Museum. There is still a little of Checkpoint Charlie where I crossed over that day. The city is so different and lively. 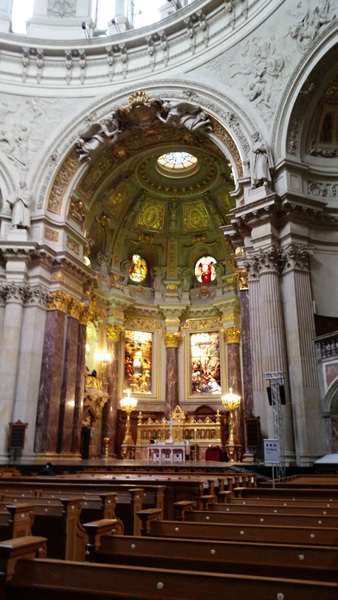 As soon as I arrived in the city I spent a full day touring. 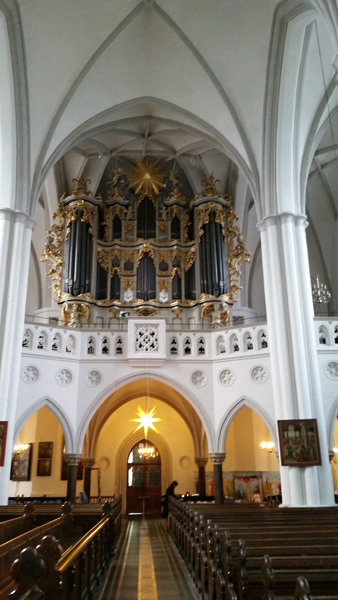 The Marienkirche and the Berlin Protestant cathedral were highlights. 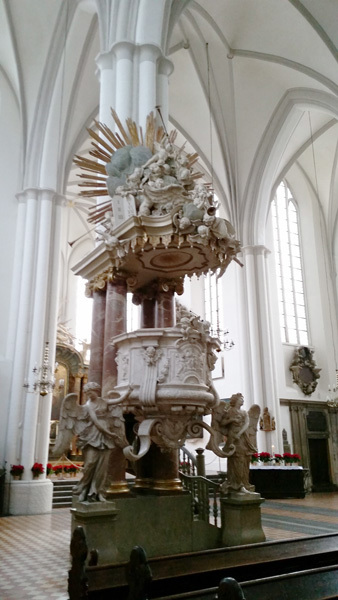 The churches testify to the sovereignty of the state over religion which was the hallmark of German Protestantism. 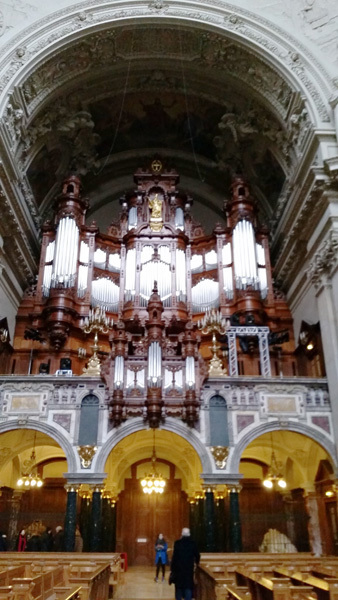 The cathedral houses the crypt of the Hohenzollern dynasty. Walking across the Schloßbrucke designed by Schinkel in 1821 I looked back and imagined the incredible destruction of the city during the bombings. Berlin was an imperial city with magnificent buildings and very few remain. 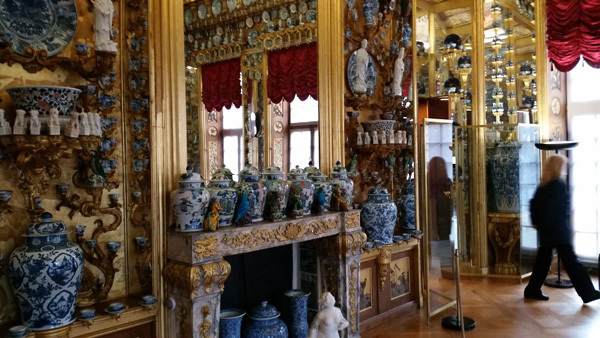 However with photos you can get a grasp of the city in its former splendor. The bridge connects Schloßplatz with the Unter den Linden. This is one of the most famous streets in Berlin which was once the route to the royal hunting grounds. 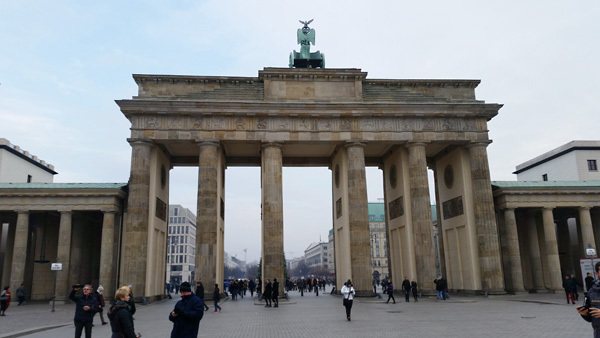 Then at the end of the street is the Brandenburg Gate. 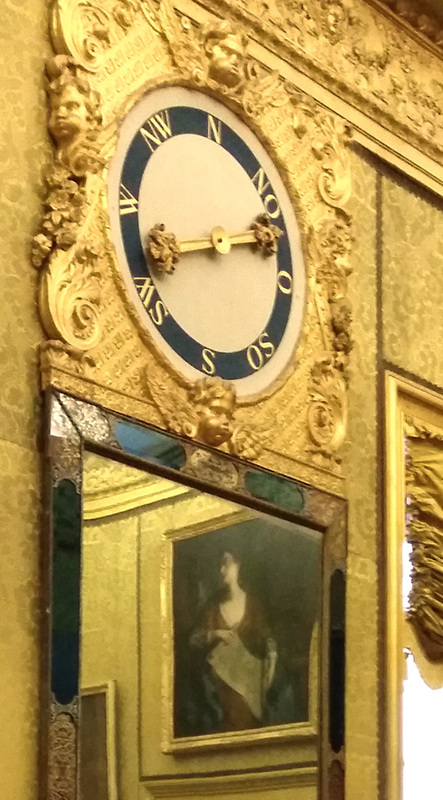 When I was here before you could not get to the gate because it was in no man’s land; however today it stands in all its neoclassical beauty. 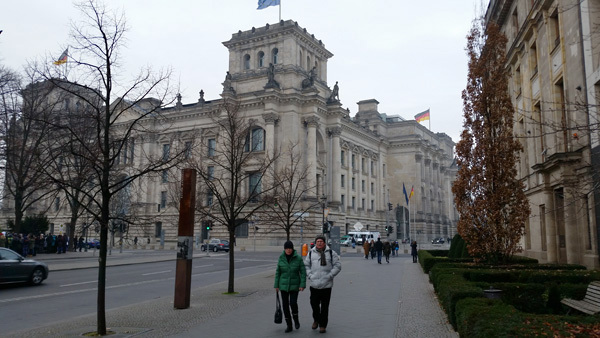 And then around the corner is the Reichstag that is the Parliament which witnesses to a unified Germany. 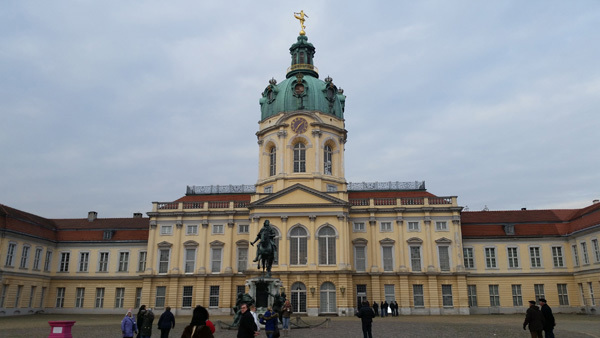 Then on to Charlottenburg palace which was the summer home of Sophie Charlotte who was the wife of Friedrich III. 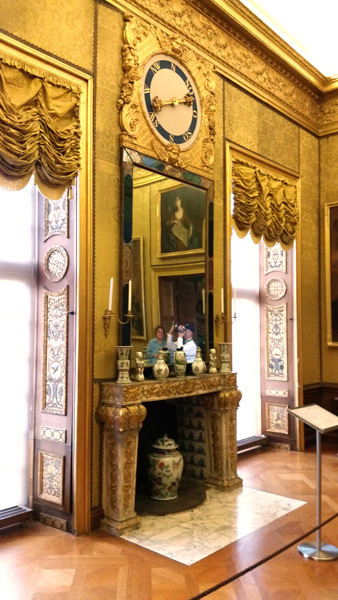 Once again it sustained incredible damage during the war; however with its restoration it once again displays its unequaled elegance. 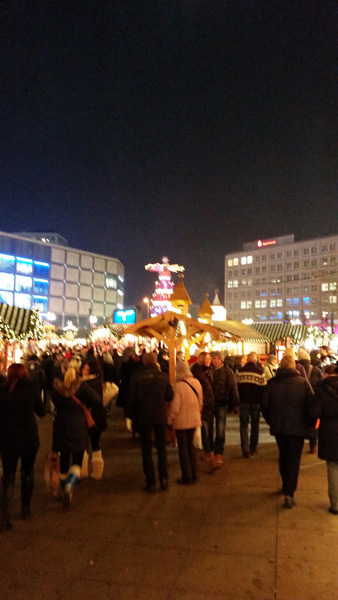 At the end of the day I explored a Christmas market and enjoyed some great food from the stalls. I look forward to more markets that lend such festivity to the Christmas season. 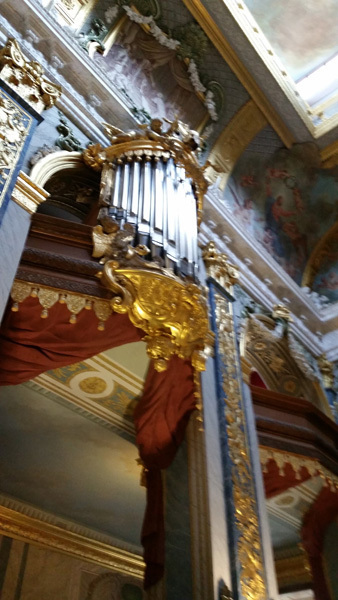 This entry was posted in Europe and tagged Berlin, churches, Germany, travel on December 6, 2014 by frjfkauffmann.